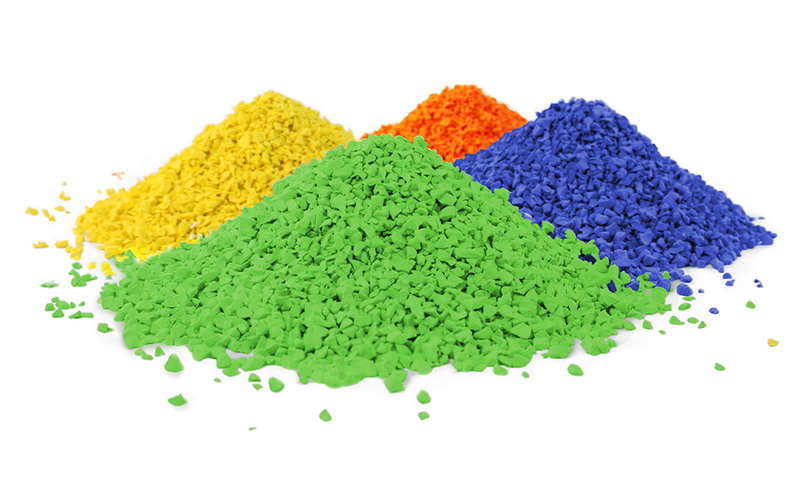 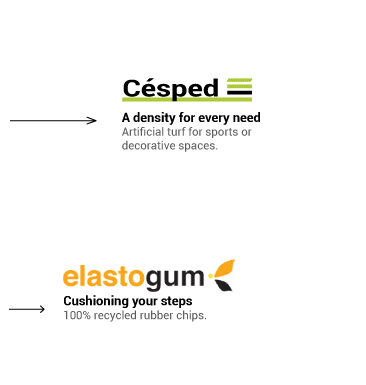 We use rubber chips of different sizes to create seamless monolithic structures. 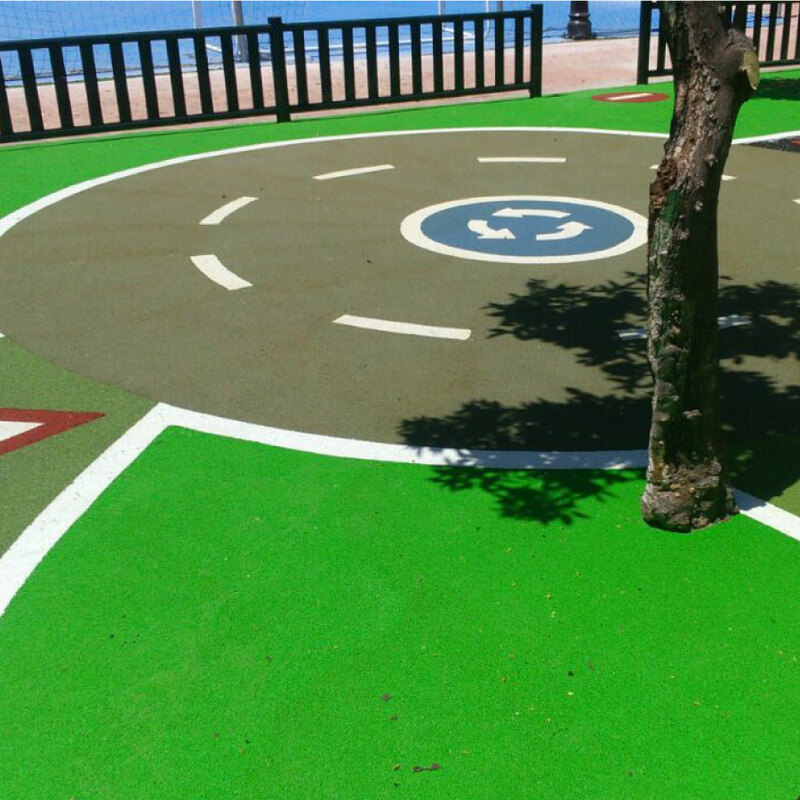 Countless combinations and shapes to fill recreational areas such as playgrounds with colour. 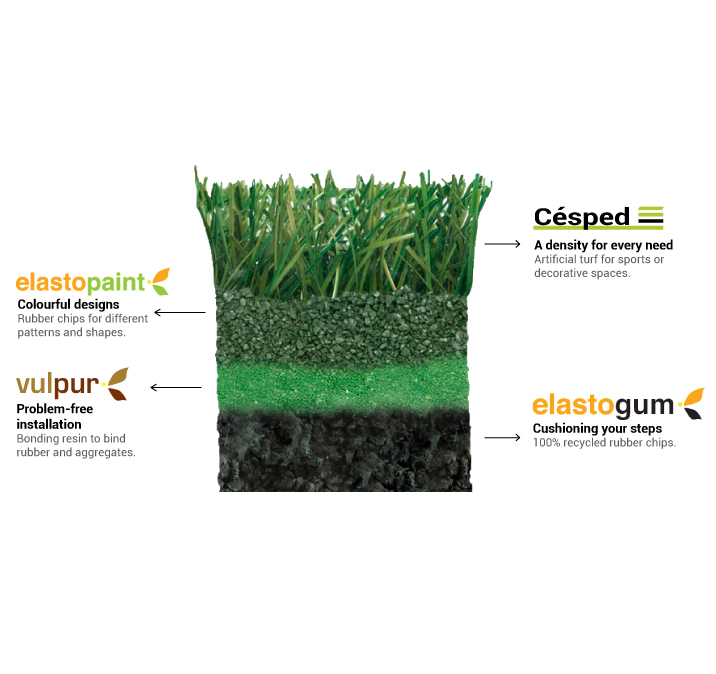 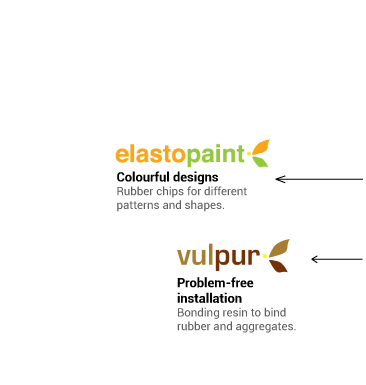 Elastopark is durable and hard-wearing. 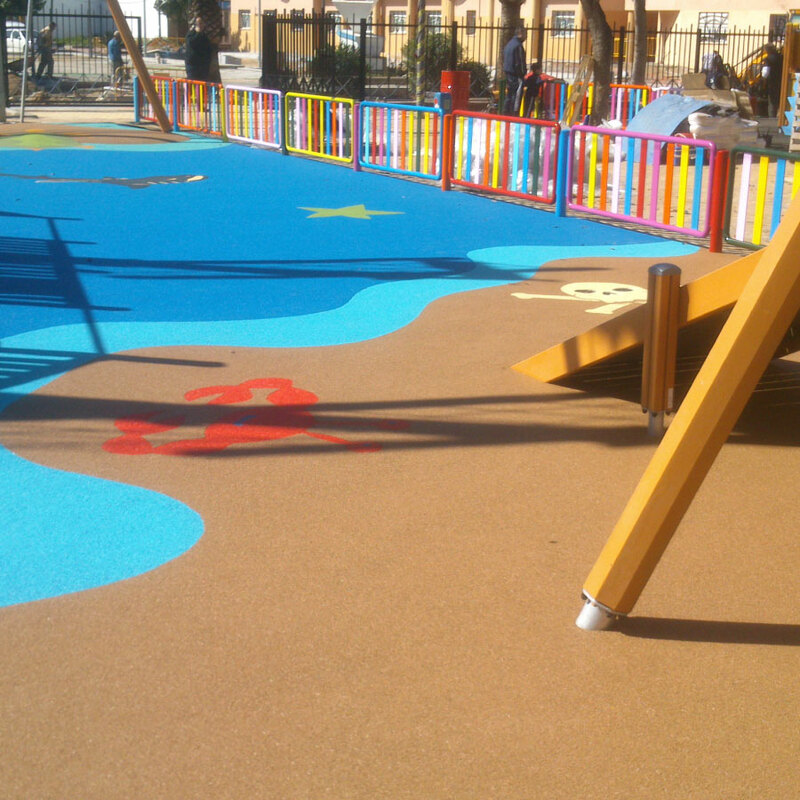 Safe flooring that is ideal for playgrounds, available in 24 colours. 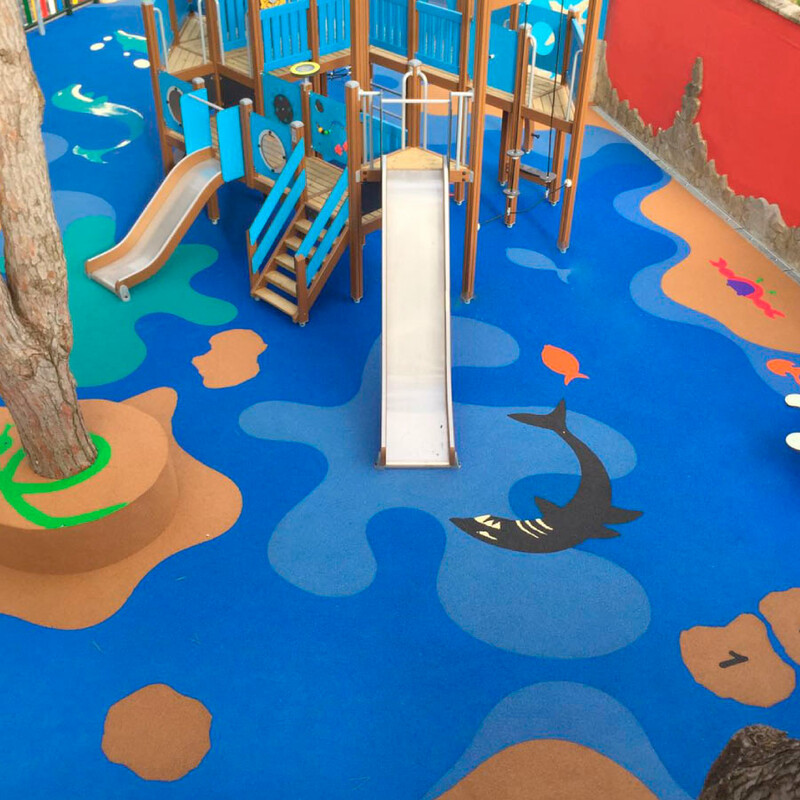 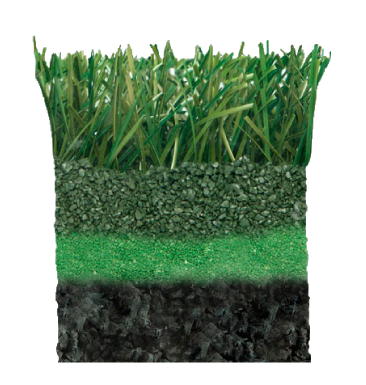 Our R&D department strives to improve our formula and offer quality materials that meet all the necessary requirements and perfectly adapt to recreational and sports areas.